Every time we get a new one from Chris Cohen, you know I have to share it! 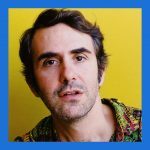 He’s well on his way to the release of his new album,Chris Cohen, which is his third record out on his own and is out this Friday 3/29. 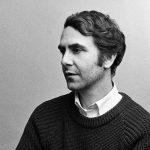 “No Time To Say Goodbye,” may be my favorite that has been released so far from the gentleman for this album.What I’m most impressed by with this song is how Chris Cohen tackles a classic pop song structure with choral hook in such a Cohen-fashion. The title of the track is sung as a ‘chorus,’ in perfect falsetto gets lodged into your head. Lucky for us in Austin, Cohen is stopping by the Mohawk to play a set next week! The show is Thursday, April 4 and tickets are hella cheap. Scoop yours so you get the chance to hear these gorgeous new tracks live. We love Reptaliens here on the ATH crew and I know we are all excited for their new album VALIS coming new month. Prior to the upcoming release date, the band has shared yet another single called “Venetian Blinds”. Once again we are treated to some beautiful, chill pop music and an amazing tour video to go along with the song. Now I’m looking even more forward to the release of the new album on April 26th. I knew this new Reptaliens LP was right around the corner, so I’m glad the secret is out, as I adored FM-2030. 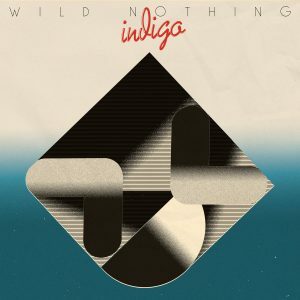 Our first listen from the forthcoming LP offers up a woozy dreampop sound. Synths float in heavily, often seeming as if they’re in and out of tune; they get matched up with these grooving bass lines that will certainly have you bobbing your head. It’s all spliced up by layered synths and sharp guitar parts; it’s short and sweet, easily consumable. Look for their new album Valis to drop via Captured Tracks on April 26th, as well as huge Spring tour that brings them to SXSW. We here at ATH are pretty big fans of Chris Cohen, so it’s safe to say we’re stoked for the upcoming release of another LP from him, which is coming out on 3/29. From that record, he’s shared another perfect soft pop track for us with “Sweet William,” which is accompanied by a silly and entertaining video. The song bounces along with a twee synth / distorted keyboard riff, killer bass line and barely-there percussion. Cohen’s mellow vocals come in like a wave of warm sunlight and the track pulses forward shifting at the two minute mark when the electric guitar rips through to a great solo. The video also escalates along with the music, as Cohen’s fever dream / sleepwalking / trip is pushed to its climax, with his spirit guide handing him a notebook with what appears to be lyrics to a song–perhaps this one. Take a peek below and then go pre-order his new self titled album, which will be out in about a month on Captured Tracks. We all had hints that a new Chris Cohen record was on the horizon, and I’m just grateful that it’s closer on the horizon than I expected. I’ve been infatuated with Chris since Overgrown Path (2012), and this new single strikes a similar chord. Chris writes with such simplicity, or seemingly so, that you end up being caught up in the song’s emotional pull rather than focus on the instrumentation. We have that here, though the melodies Cohen pulls from his voice are so sublime that they pull you in like tractor beams. The next album is self-titled and it will be released by Chris’ longtime label Captured Tracks on March 29th. We haven’t heard from Chris Cohen since 2016’s As If Apart, so I’m scrambling to reabsorb all those old songs from his first two LPs. Today we’ve got a brand new single from Chris, and what a special gem it is. It walks that fine line between NPR-core (the indie rock your dad thinks is cool) and artfully branded pop music. It’s got a nice little sax solo that adds texture to the track, wrapping itself around Cohen’s mellowed vocal tones. The percussive element gives the track a jazz club vibe…and while I’m laughing in my head at the inclusion of the instrumentation, it’s what makes Chris’ work so intriguing; he captures this curmudgeon with his songwriting like so few ever do. Let’s hope there’s more to come from Chris in 2019.